Watches (like cars) need to be serviced to run well. And like cars, opening the hood to look at the engine won't do it. Unlike cars, Watches engines need to be kept extremely clean; a particle of dust small enough to float into the case when you open it is like sand in a car engine. So if you want your watch to run well, you need to have it properly cleaned, oiled and adjusted by someone with the right tools and skills. Otherwise, it's not a watch, it's a paperweight. A cool, steampunky paperweight, but paperweight nonetheless. This is the problem I'm running into. 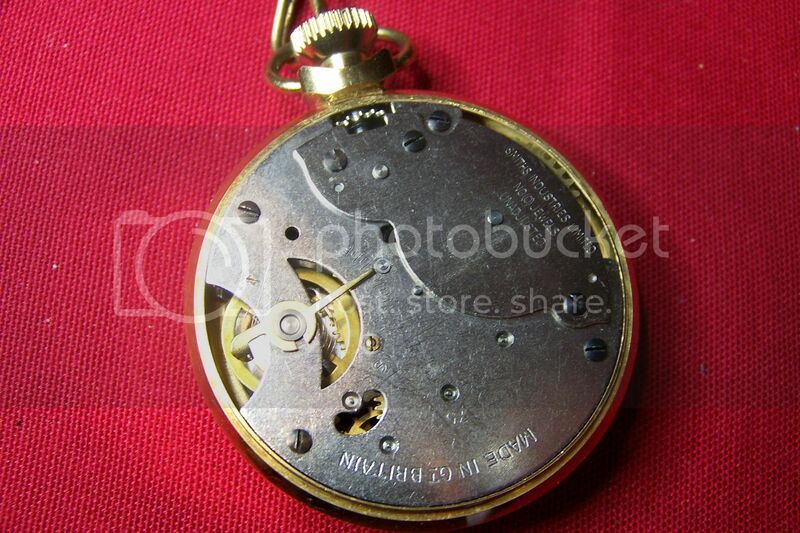 I very much want a good mechanical pocket watch, but I lack the knowhow on how to fix it/service it myself, and the local places what do that sort of thing charge a GODAWEFUL amount for said service. Oh, I could understand if it needed quite a lot of work, or a total refurbish, but $125 for a cleaning and lube? Seems a bit extravagant, that. I frequent a couple of watch forums and that $125 is very reasonable. For that to be done properly,the entire watch must be taken completely apart,cleaned,oiled,assembled and tested. Watches contain hundreds of minuscule parts-this is no feat for the average person just because of the amount of time an average person would take to do this. When I can spend the same amount and get three low grade (which is all I have anyway) mechanical watches? I just seems... I dunno. I mean, yeah, if I had my da's Elgin, I'd spend the money-and GLADLY (it's over 100 years old). But a cleaning and a lube-yes yes, I know total disassembly, all of that-and I know there are A LOT of parts in a watch-more'n I'd ever want to mess with, particularly since they're so very, very tiny. It just seems to me disproportional. Then again, what do I know? I'm just a young skull full of mush. That's the challenge, right? It doesn't matter how "expensive" the watch is, the amount of time it takes is the same (or in some cases, even longer since speed is a function of familiarity; an unfamiliar movement will take more time). For me, it takes about 15-30 minutes to disassemble the watch, a half hour or so of time to wash and rinse the parts in an ultrasonic cleaner, another 15-30 minutes to visually inspect, polish, and peg the pieces to ensure that all the dried oil and dirt are removed, and 30-60 minutes to reassemble the pieces. After that, it goes onto a timing machine for at least an hour to ensure there's a good steady beat and decent amplitude. So that's 1-2 hours of actual time spent, assuming that nothing is broken or needs to be tweaked/adjusted. How much do you imagine a trained craftsman makes an hour? Especially after you factor in the cost of equipment and (if they have an actual shop) the overhead of a building? Now if you go to (say) india or china, you can probably get those watches serviced for 25-50. A lovely model and priced to move! Hi folks, I found this thread last night and thought I would post a pic of mine, it's fully wound but not working any help would be much appreciated. it says "SMITH INDUSTRIES, NO JEWELS, UNADJUSTED"
Well the good news is, it's now working, another site seaid spray it with WD40 and hey presto it works!! Here's mine. It seems to lose a few minutes every few days, but I like it. 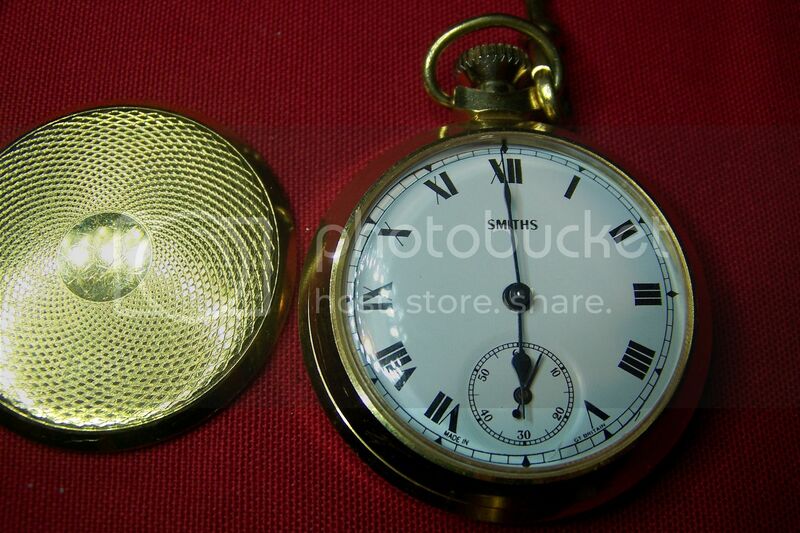 It has a glass on the back as well, so you can see the movement from both sides. With front and back open, you can see clean through.